Janine St. Germain has carved out a fascinating archival career in which she “guides corporate, non-profit, and private sector clients in leveraging their archival holdings to support an institution’s strategic plans, publicity, marketing and fundraising efforts.” Along the lines of creative serendipity, in her blog she writes about finding hidden stories in the archive. On a stormy night, she gathered a few friends in New York City’s Municipal Archives for a night of historical treasure hunting. Municipal Archivist, Sylvia Kollar dug through the collection to produce a number of records that would serve to inspire the literary group. They worked with a collection of early 20th century mug shots from the Bertillion cards, a series of Police Department Detective Bureau physical description identification cards. What an incredible collection to draw from! The group used the records as writing prompts to spark their imaginations. I would love to invite budding authors into the archives like this. It has inspired me to think about my institution’s collections and how they might inspire the creativity of the local arts community. 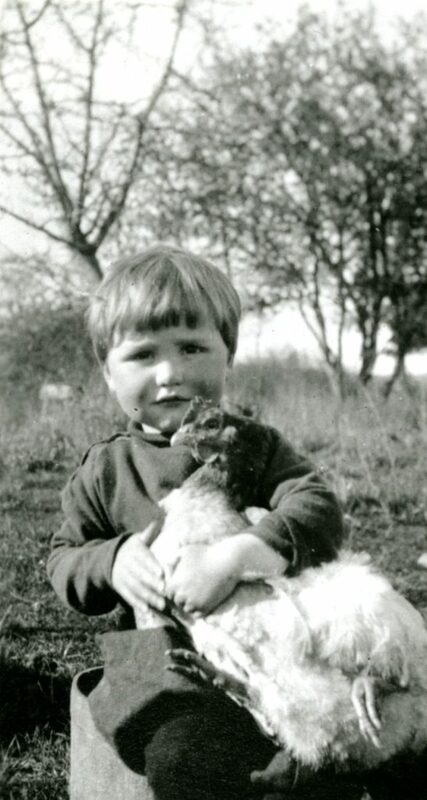 Perhaps someone could write a story about this little chap? It is so exciting to hear about projects that seek to find new audiences for archival material, to give the records a second life so that they can inform new stories. While one would always hope that university students are taught how to make use of primary sources in their academic work, I was pleased to discover that Gustavus Adolphus College in Minnesota offers a course that encourages students to turn to the archive for inspiration in the creative process. How great does this course sound? “Fact and Fiction, in which students examined the intersection of the historical record and imagination through the experience of the reader, researcher, and writer.” Students taking the Fact and Fiction course were asked to create an original work of fiction using archival records from the archives of the College and the Lutheran Church Archives. “We wanted them to grapple with the role that research can play in the creative process by requiring them to use a primary source as inspiration…We hope that the experience will foster long term practices of creative writing and ongoing use of archival collections.” Read more about this fascinating course here. Much as I would love to say that I have the ability to concoct a compelling tale using archival records as inspiration, alas, fiction is not my strong suit. But there are many archivist-come-fiction-writers in our midst. 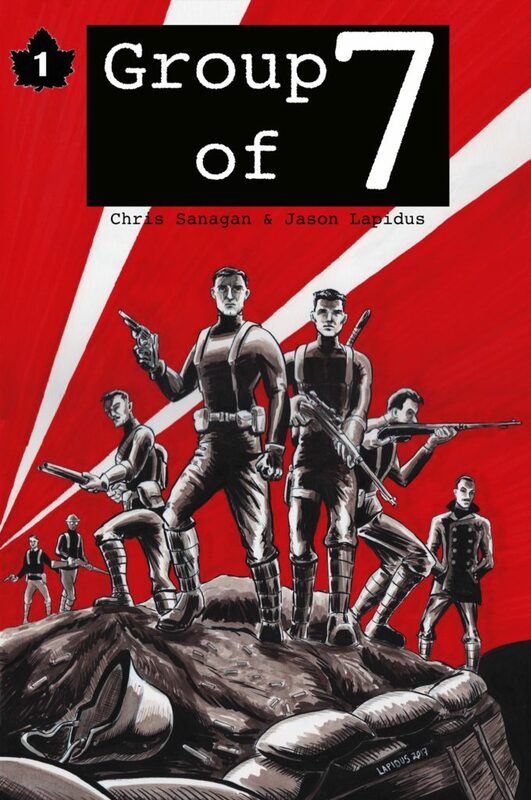 One such creative individual is Chris Sanagan who is an archivist at the Archives of Ontario, but also just so happens to be the author of the forthcoming historically-inspired comic book series, Group of 7. Chris was kind enough to answer some questions about his work. How did you come up with the idea for Group of 7? Group of 7 is something that I’ve been working on in my spare time for close to three years. In 2014, when the centennial of the First World War was being recognized across the country, it got me thinking about famous Canadians who had fought in the War. I live in Guelph, which is John McCrae’s hometown, so inspiration wasn’t difficult to find. As I learned about these soldiers and the real post-War connections that many shared, the idea for writing a story emerged. Why did you choose to tell this story using the comic genre? I’m crazy for history and I love comic books. Given the historical setting and characters, I thought the graphic (comic book) medium might work best. The First World War has been captured in many formats but I hadn’t come across too many comic books about it. From a visual perspective, there’s so much for the book’s artist (Jason Lapidus) to play with. There’s also an educational aspect as I saw this as a natural opportunity to get kids interested in Canadian history via a format they are very familiar with (i.e. comic books). How did your work as an archivist influence your work? Certainly my love of history and my career choice as an archivist is no coincidence. For me, archival records tell stories. So it was natural to consult archival records to tell this story. Yes, Group of 7 is a work of fiction, but it is full of very real history, whether events or characters or dates. Archival records help lend accuracy and legitimacy to the story. I can use the information contained in those records to flesh out certain events or shine a light upon others that may have been forgotten. It’s a bit cheeky to say but archival records DO help bring the past to life. What records did you rely on to bring truth to your imagined reality? My research was conducted almost exclusively online. Initially, I relied heavily on Library and Archives Canada’s digitized First World War personnel files. Available as a free download, I was able to grab all the characters’ attestation (enlistment) papers and associated military files. These helped with identifying character motivations, filling in backstory and developing imagined dialogue. 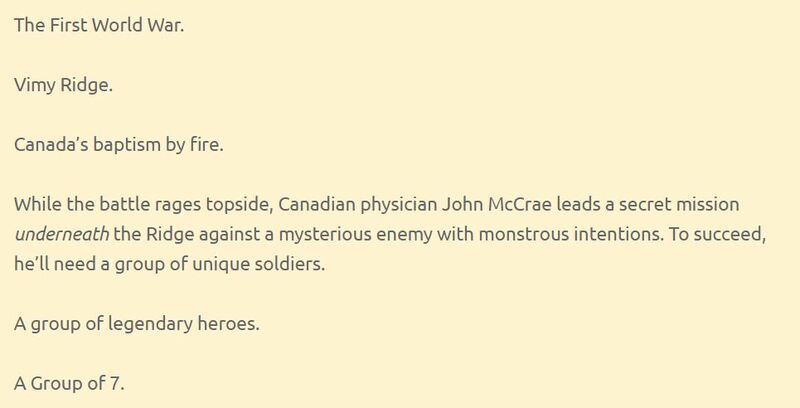 I didn’t consult any specific fonds (my secret archivist shame) but between the Guelph Public Library and the Guelph Civic Museum, there was plenty of reliable information on John McCrae (the comic’s protagonist) available. Beyond that, secondary source websites like the Dictionary of Canadian Biography Online and the Canadian War Museum were extremely helpful. What do you hope readers take away from reading Group of 7? First and foremost, I hope people are entertained as it’s intended to be an enjoyable, action-packed ride. As you can guess by the title, Group of 7 is also infused with references to Canadian history, art and popular culture. At its very core, it is a love letter to Canadiana. I’ve developed a companion resource page on the comic’s website to entice whomever (although students of all levels are the primary target) to explore the characters and events further. Schools (from elementary to post-secondary) have been in touch about sharing the comic book and associated resources with students and I couldn’t be happier. Canadian history is absolutely fascinating and provides an endless supply of events to explore, characters to examine and stories to tell. I sincerely hope that Group of 7 is just the first of many to come! The first issue of Group of 7 will be released in digital form on July 1st and is available now for pre-order. I can’t wait to read it! Maybe one day I’ll try my hand at archives-inspired fiction, but until then, I will content myself with the work of others.